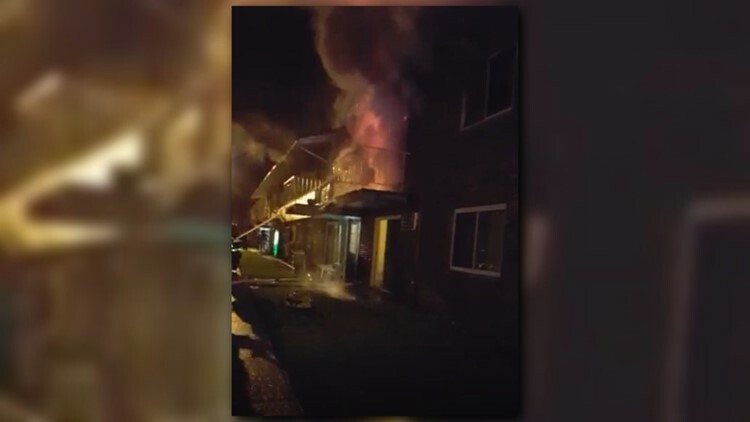 PAINESVILLE -- One man was injured as a fire broke out at an apartment building in Painesville on Thursday evening. The fire happened at the Tropical Village Apartments on West Walnut Avenue. The injured man was an occupant and was transported to TriPoint Medical Center with what Painesville fire officials believe are non-life threatening injuries. Officials say the man suffered burns and one firefighter suffered a strained shoulder. Officials say the fire was caused by unattended cooking. The apartment where the fired originated has been deemed a total loss and its adjoining apartments suffered smoke and water damage. About 70 residents were displaced Thursday but most were able to return to their units, except for those residing in the apartments directly impacted by the fire.